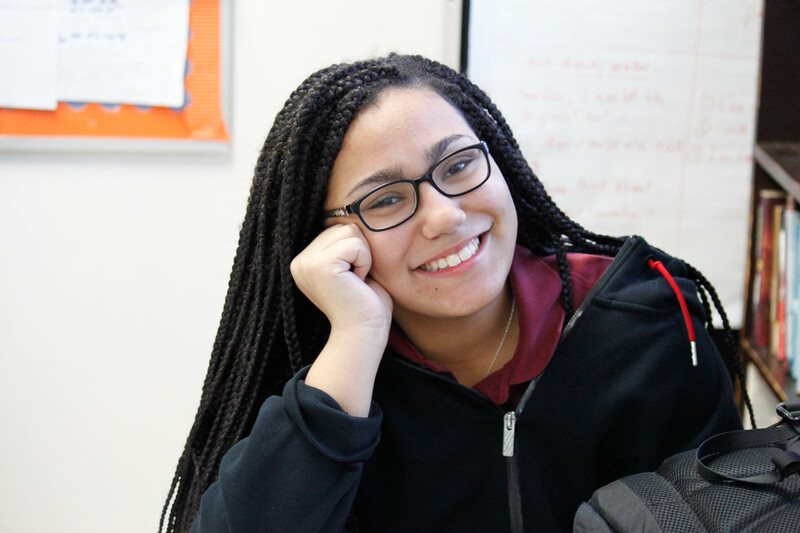 For 11th Grader Brianna Shaffer, the subject of her upcoming play is more than a person, rather, she is a representation of perseverance and achievement in Washington, DC. The students at the SEED School of Washington, DC are merging their History and English studies through DCPS’ Tales from the Crypt project. Students research a person who lived in Washington, DC and write a play about their life. Brianna is creating a play about native Washingtonian, Sarah Nutter! Brianna explained that Sarah Nutter lived around the turn of the century and attended Howard University, where she also helped found the first historically Black sorority, Alpha Kappa Alpha Sorority, Inc. After graduation, she became a teacher at Dunbar High School and also taught in Baltimore, but soon got married and stopped teaching. She had no children with her husband, Thomas Nutter. This will be Brianna’s first play, but she’s written poems before and has a love for reading and watching plays. The SEED School has many opportunities to see student productions on stage. In her spare time, Brianna takes it easy by hanging out with friends and family and writing. Since her freshman year at SEED, she has participated in BUILD, an entrepreneurship program that teaches young people how to start their own businesses. Brianna’s business sells headphone organizers for those times when our headphone cords get tangled, or we need to pack our headphones away without damaging them. We can’t wait to see the final product of Brianna’s play, which will be performed early this Spring at SEED.